We all know that most women don't wait for a proposal to keep their eyes peeled for juicy tidbits that will help make their ideal wedding day everything they have always dreamed of. 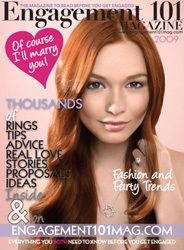 There are a lot of wonderful magazines and websites you can turn to for information and assistance for a wedding. Some of these are dedicated to only one or two facets of your wedding planning, while other such as Engagement 101 Mag take many of your various needs into consideration. The Japanese are well known for many things, and their love of gadgets and wacky fashion sense come close to the top of the list. This new wedding countdown bra reeks of cynicism, and stone age values and is surely more likely to send a prospective husband run screaming for the hills than stopping the clock by proposing. 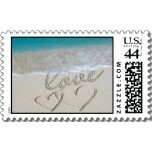 For so many couples, beaches have been, and continue to be the wedding location of choice. The openness and spectacular scenery, the rolling waves, the smell of fresh air, the ample lighting; the list of reasons for having a beach wedding could go on and on, like love, endlessly. 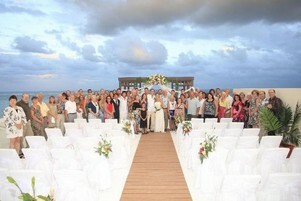 Beach weddings can be quite magical and full of special memories. There is a great deal of beautiful bridal jewelry specifically for beach weddings available. 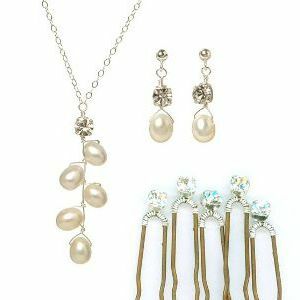 Pearls are a great choice for any style of wedding accessories, but even more so when planning a beach wedding. After all, the pearl does come from an oyster; and oysters, well...you know the rest of the story. Pearls are also something your mother, grandmother, aunt or friend probably has in her jewelry box which can be used as your "something borrowed" if you are still looking. As promised, it is time to look at some of the great short styles Prom Girl has to offer to all of you non-traditional brides-to-be. As someone with a wardrobe large enough to clothe a small country, I am definitely what most would consider a clothes horse. However, ordinary designs and contemporary fashions are not something I have much interest in. I have my own unique sense of style. One of the most important aspects of your wedding is the collection of memories you will gather. Many of them will remain fresh in your mind and others may begin to fade over time. In order to preserve some of the day's highlights, it is important to enlist the assistance of a professional wedding photographer. Uncle Bill may do a great job with his retro Polaroid at family reunions, but your wedding memories need to be entrusted to someone with more expertise and cutting edge equipment. From pre-wedding photography (for all of those wedding announcements and invitations) to honeymoon photography, there are many moments to capture along the way. Kirk Elliott, known as the St. Lucia Wedding Guru, is exactly the type of wedding photographer you will want to work with. It is his personal goal to change the way people look at wedding photography. One of the greatest beauties in nature is the butterfly. There is something whimsical and fantasy-like about them that causes many people to be drawn to them. The array of vibrant colors and the soft fluttering of their wings as they move gracefully by are both relaxing and spiritually invigorating. On a day where beauty and grace are high on the list of qualities you want your guests to envision, they are a perfect addition to your wedding theme. Some of you may even consider butterflies as the main component of your theme, and there are certainly one of the easiest motifs to incorporate. 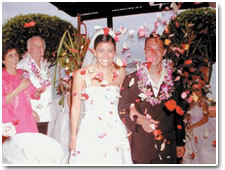 Caribbean weddings and honeymoons envelope all of the beauty of nature that is characteristic of tropical islands. From the stature of the palm trees that cover the beaches, soft tropical breezes, stylish architecture and local attractions to the sounds of island music and the aroma that fills the air from the fresh, local fare, the reasons for couples to choose this sort of venue are plenty. 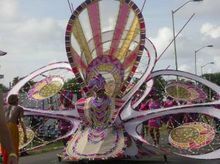 The "No Residency Policy" of Caribbean locations allows couples to marry within hours of their arrival from anywhere in the world. One of the most intoxicating locations for such a wedding is St. Lucia. The white sands, hypnotic waters and lush rain forest are virtually beyond compare. The climate and natural beauty of this island are perfect for your special day. St. Looking for your Perfect Wedding Palette? I love wedding styleboards. They are a great visual representation of how a whole wedding might look based upon a certain theme or color scheme. I am always thrilled when I find a new wedding site which offers regularstyleboards, so I was happy to find 'The Perfect Palette' blog with a long list of inspirational collages to browse through. As you might expect from the name, the owner of the blog, Chrissy , puts the styleboards together based on color combos, and since they are all neatly listed down the left hand side of the page, you can easily pick which shade takes your fancy and see the imaginative ways that she has put elements together. While some pairings are popular and fairly expected, others, such as Mustard and Chocolate, might pleasantly surprise you. Read more about Looking for your Perfect Wedding Palette? Rather than stick with traditional styles, many brides are choosing to express their individuality by outfitting their bridesmaids in some unusual, but certainly not unattractive dresses. Long gone are the days of little girl pastels, incessant ruffles and frumpy frocks. Brides are now opting for vibrant and unconventional colors, bold prints, flashy sequins and revealing, form-fitting styles. While bridal boutiques are beginning to offer more exciting options for trend setting brides, you may want to look elsewhere for even greater selections of bridesmaids gowns. Companies specializing in ballroom gowns and prom dresses are far more likely to have some dresses that will liven up the scenery at your wedding. How can you save money on your wedding cake? What type of wedding cake should you buy? 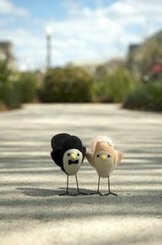 Where can you find the best cake toppers? If these kind of cake questions are plaguing your wedding plans, then a newly launched blog may be just the ticket to help. Top Wedding Cakes is dedicated to providing quality articles about all things wedding cakey, and although there are only a few posts on the blog at the moment, they are a good length and well written. With all of the new and exciting changes weddings have been undergoing lately, it only seems fitting that even traditional wedding cakes might become a thing of the past. While there will be brides who prefer to stick with the tried and true three tier white frosted styles, there are plenty of unusual, elaborate and even wacky new cake ideas to choose from. One of the most enticing things about a destination wedding is the sense of escape from the stress of planning as many of the details will be taken care of for you by the wedding coordinator. Elect to get married at a luxury resort in a place where the sun shines almost every day, the beaches are pristine, and there is a spa and crystal blue pool within a few minutes walk and you might wonder why anyone would choose to get married at home! 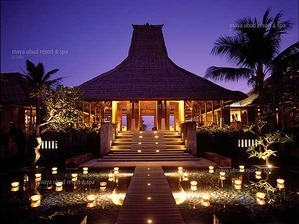 Bali is a true paradise for lovers. The sensuous beaches of this self-indulgent Indonesian hideaway are plenty. Having a wedding ceremony on one of them would be ideal if a picturesque setting is what you are looking for on your special day.Here are a look at some of the beach locations Bali has to offer. . . Sometimes the idea of looking like every other bride in the standard white dress and pearls just isn't good enough. Just because your dress is white doesn't mean that you can't add a splash of color around your neck, wrist or ears in the form of a timeless piece of jewelry. Having something custom made for your wedding will make an even more special statement. One of the newer musts for all brides is the save the date enclosure. These are typically found in the form of a card, paper insert or a magnet. This last idea is a great little addition- perfect for reminding guests about your upcoming wedding. 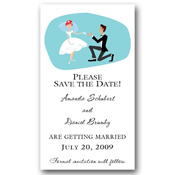 While save the date cards have been traditionally that: cards, magnets are much more effective! The most common place we put magnets is the refrigerator...a place that in general is not over looked very often. Each time someone walks past or opens the fridge, they will think of your wedding. As a general rule of thumb, you will want to send one magnet per household. When ordering, do not order by the number of guests you are having, but by the number of addresses you will be mailing them to. Sounds like a no-brainer right, but I know of more than one bride who has had a blonde moment and ordered double the amount of magnets than she needed. Wedding favors do not have to be a budget-breaker in order to add a touch of finesse to your reception tables. One great place to look for affordable (not to mention adorable) favors is Sunflower Favors. They offer close to 350 wedding favors to choose from and most of those are very inexpensive. This website has a bit of everything from personalized favors to seasonal and theme related favors, and the whole collection has been gathered with an emphasis on style, uniqueness and affordability. We all know jewelry can be a bit over-priced; in some cases, exorbitantly so. Luckily, there are some other options to explore. If real diamonds and pearls might be beyond your budget, or you just can't find the perfect set of jewelry to match your wedding ensemble and sense of style then why not turn your hand to creating your own? Brides have really started to get their hands dirty, so to speak, and do a lot of the work themselves in effort to save money and to get exactly what they want for their wedding day. 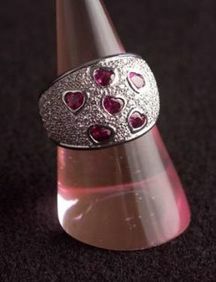 Jewelry is just another area where you can do it yourself. If you have even an ounce of creativity in you (and a little patience), this may be something that is worth considering. Are you a bride who feels lucky? If so you may want to try your hand at winning a dream destination wedding at the luxurious Azul Sensatori Hotel in Cancun, Mexico, which is being given away by JC Penney. This all inclusive resort is perfect for a combination wedding and honeymoon getaway. The lucky winner will receive one week accommodations for two in the luxurious Oceanfront Honeymoon Jacuzzi Suite with all meals included. A reception dinner in the Spoon Restaurant will be available for up to 40 guests and welcome cocktails will be provided for up to 80 guests. 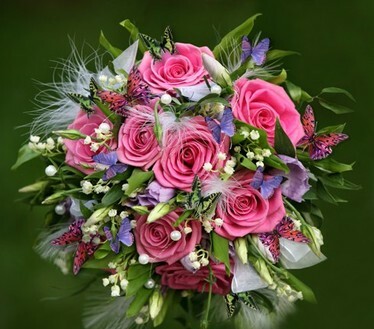 Flowers for the bride and groom are also included, and judging by the spectacular examples in the photographs you won't be disappointed. 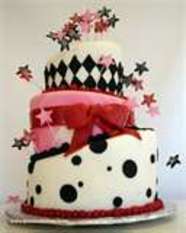 Brides today have their pick when it comes to virtually every aspect of planning their weddings. From finding the perfect dress and booking a dream venue to choosing the most delectable cake and deciding on just the right theme, the choices are vast and the opportunities to let your individuality shine through in all areas of your special day are practically limitless. This is true of even the smallest of details, and sometimes it is those tiny details that can really make your wedding stand out from the rest. If you are nature loving couple looking for a family friendly wedding (or honeymoon) location, Fair Hills Resort in northern Minnesota has a lot to offer. Nature flourishes in the woodlands surrounding Pelican Lake. The resort provides a hassle free and relaxing environment filled with natural beauty. Weddings, although wonderful occasions, are generally quite hectic events not only to plan, but to experience, and can leave you feeling drained and exhausted. A peaceful venue such as this can make your special day more relaxed and tranquil, not to mention the fact that the open spaces allow for greater freedom for the guests.